I was thrilled and my son Jay was beyond excited to try it. We were not disappointed either. 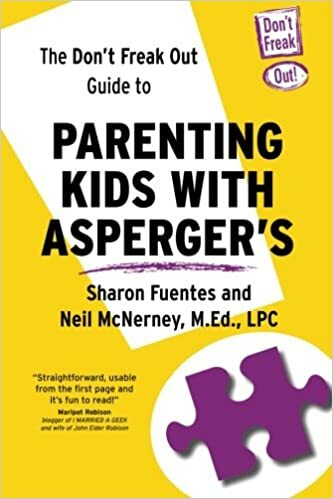 I loved this program so much that I contacted the Social Skills Training Institute and told them that I was going to write an unsolicitated review and that I would love to offer another new Family Kit, like the one I received but was not about to let go off (Sorry guys but that is how much I love this) to one of my lucky readers. Guess what… they agreed. So I will be announcing how you can win this incredible over $300 value program (although I am not sure how you can possibly put a price on what it actually does for your child) later. First I want to tell you about it. How to recognise emotions in themselves and others. How to express feelings in appropriate ways. How to cope with feelings of anger and anxiety. How to start, continue and end conversations and play activities with others. How to tell the difference between friendly joking and mean teasing. How to cope with making mistakes. I could go on and on and write more stuff… but I thought showing you a sample of Jay playing it would be better. Check this out. The Secret Agent Society Cadet Handbook, which includes a Secret Agent Journal in which children can record how they use their SAS skills in real life. The Secret Agent Society Parent Workbook, a handbook which provides parents with a summary of what children learn in the program and tips on how they can help their child use these skills in everyday life. The Secret Agent Society Teacher Tip Sheet Pack, which contains information sheets, questionnaires and monitoring forms to help school staff support children’s social skill development. The Secret Agent Society Gadget Pack, which contains full-colour illustrated skill code cards, a code card holder, stress ball, Emotionometers (emotion thermometers), sticker sheets, an ID tag, Fact File cards and a graduation medal. And drawstring satchel bag for kids to carry and store it all in. Want extra chances to win? Do you following and then come back here and leave a comment saying you did. One winner will be randomly selected from the qualified comments received by Wednesday August 31, 2011, at 11:59 PM EST. Please leave an email address on one of your comments. Winner must respond within 72 hours or another winner will be drawn. Contest is open worldwide! Wordless Wednesday- For Want of a Quiet Tongue! My Aspie’s obsession is Secret Agents. He loves Disney’s Club Penguin, Scholastic’s The 39 Clues book series, and we are waiting with baited breath for Spy Kids 4 to open tomorrow. Would LOVE, LOVE, LOVE to have this program to use with him. This Mom’s Secret Agent names is ” Agent Opal Emerald”, the birthstones belonging to me and my son. Liked you on fb already as TinaMarieTate. Also now following you on twitter under the same name. Like everything about your blog.s. I entered the Time contest, too! put your button on my blog on the right. I already liked you on FB!! Just did an RSS subscription to your blog! I entered your Surviving Time Island Virtual World Fun Pack Giveaway! Great contest! I like (love) you on Facebook! I would be Agent K(for Kris- really uncreative, I know, but the creativity side of my head is not working). I’ve already left my e-mail and website in the fields above my reply.